NAB new jobs in 2019. 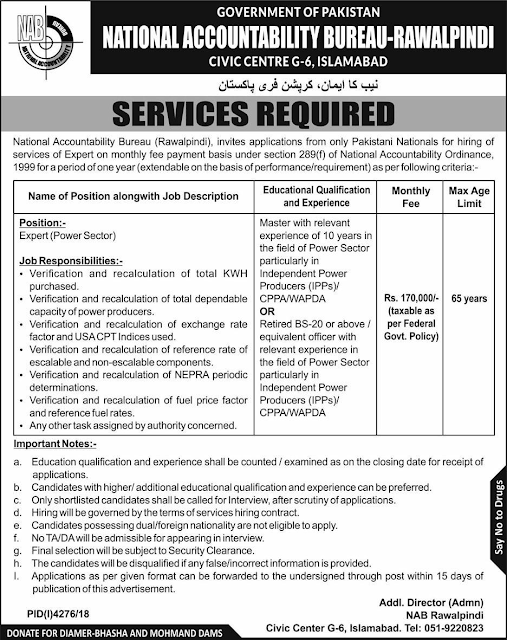 NAB invited applications from only Pakistani nationals for the hiring of services of an expert on monthly fee payment basis under sector 289(f) of national Accountability. ordinance. Education and experience shall be counted, examined as on the closing date for receipt of applications. The interested candidates may send their applications to the NAB (National Accountability Bureau) Rawalpindi.